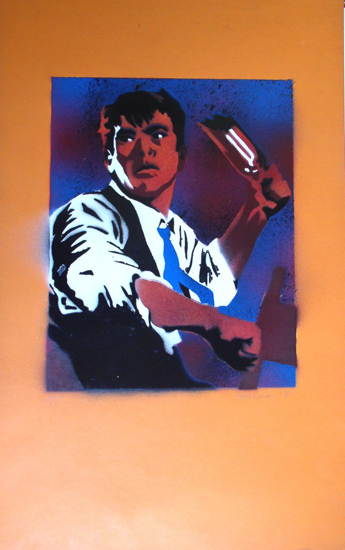 “Man with Broken Bottle,” stencilled spray paint on paper, 1980. 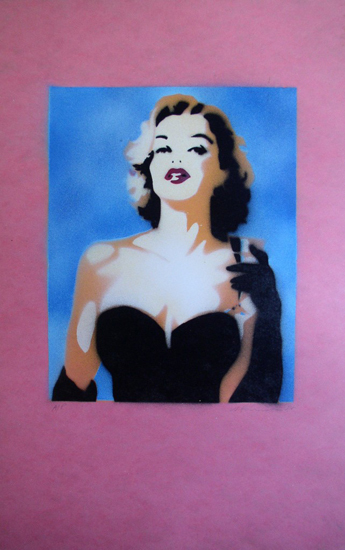 “Woman with Cocktail,” stencilled spray paint on paper, 1980. In the years since Gallery 98 debuted as an online resource for art and ephemera connected with Downtown New York in the late 1970s and ’80s, we have watched many of our featured artists garner mainstream attention. 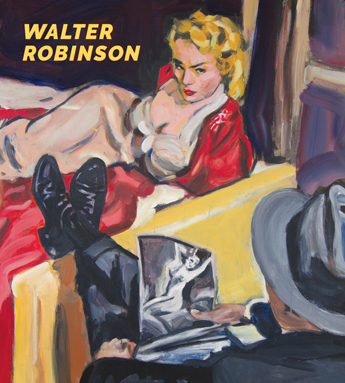 This month, it’s Walter Robinson’s turn, courtesy of an excellent new book on the artist by Barry Blinderman, who back in the 1980s was the owner of Semaphore Gallery (it had branches in both Soho and the East Village) and gave Robinson an early solo exhibition. The book reveals a modern romantic whose paintings chronicle smoldering passions and temptations. Gallery 98 features some of Walter’s earliest works, from the years he was a central part of the artist group Collaborative Projects, Inc. (COLAB). “Man with Broken Bottle” and “Woman with Cocktail” both date from 1980, and were featured at the first A. More Store, a pop-up outlet for artist multiples organized by COLAB. For Robinson, pulp images are a vehicle that both reveal and mask his own feelings and desires. 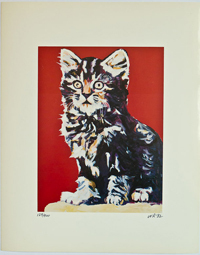 “Kitty” reveals the populist impulses of the time. This offset print was done as a signed edition of 900. While not as inexpensive as it once was, it is still cheap enough that anyone can own a signed Robinson. 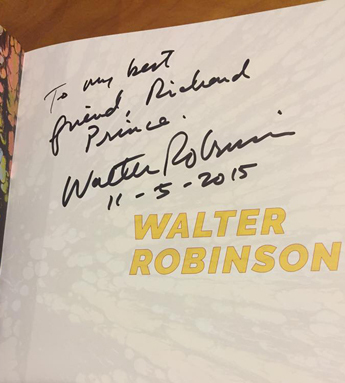 Robinson’s popularity in Downtown New York was evident at last week’s packed book signing at the bar Max Fish, owned by Ulli Rimkus, another former member of COLAB. Anthony Haden-Guest’s article captures the high spirits of the event, as does Walter’s inscription in a book that mysteriously ended up in the hands of portrait painter Curt Hoppe. Barry Blinderman, Walter Robinson, Illinois State University Press, 2015. Hardcover, 144 pages.